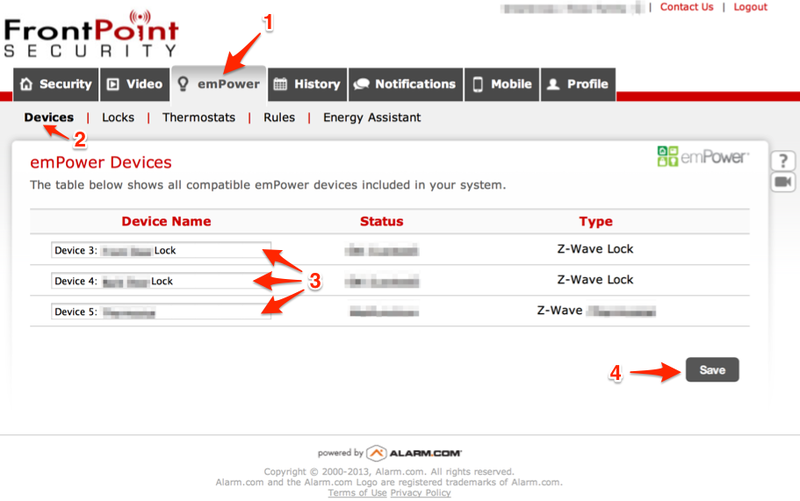 This post is about how to add a ZWave Kwikset Lock to the GE Simon XT control panel with Frontpoint Security as your home security solution. You have a GE Simon XT control panel. You have Frontpoint Security as your home security solution and have chosen a service plan that includes door locks. At the time of this writing this falls under the “Ultimate” plan. You have a ZWave Kwikset Lock that needs to be installed. You have sufficient login permissions to your Frontpoint Security online account to change desired settings. Install the lock hardware according to Kwikset’s instructions, you can skip the part about programming codes, I’ll this explain later. Make sure your Simon XT control panel is within 10 feet of the lock you want to add, and has unobstructed line-of-sight. Go to your Simon XT control panel. Press and hold the “*” key on the Simon XT control panel until “Z-Wave Setup”appears. Press and hold “1” on the Simon XT control panel until “Z-Wave Add Mode” is displayed, this mode will be active for 2 min. Go to your ZWave Kwikset Lock and remove the plastic sliding back panel if you haven’t already. Press and hold the upper left white button on lock until the Simon XT control panel dings and displays, “Device # Added”. The “#” will be replaced by the actual device number. Wait 2 minutes. Seriously, wait 2 minutes… It takes time for the control panel to communicate these recent changes to its servers. You should see the new lock as “Device #: Lock”. Change the device name if desired. Test your new lock by clicking the Lock / Unlock button! Make sure to check and test your user codes on your new lock, you can also set up rules. You can skip the lock’s instructions to program key codes. Key codes are set online via user codes and transmitted to your locks automagically. If this is your first lock, your panel may need updates, call Frontpoint Security to make sure your panel gets these updates. Remember to place the cover on your new lock! Could you tell me what happens when a code is entered in the lock? If the lock has not been added as a z-wave device to your security control panel, then it’s being used as a stand alone lock. Follow the locks instructions for setting up access codes. Since it’s not connected to the security control panel, there will be no connected functionality. If the lock has been added as a z-wave device to your security control panel, then the normal operation is that the lock will automatically sync your existing and future access codes that allow lock access to lock and unlock the door. This is found under http://frontpointsecurity.com > emPower > Locks. You do not have to program the lock itself when used as a z-wave device. 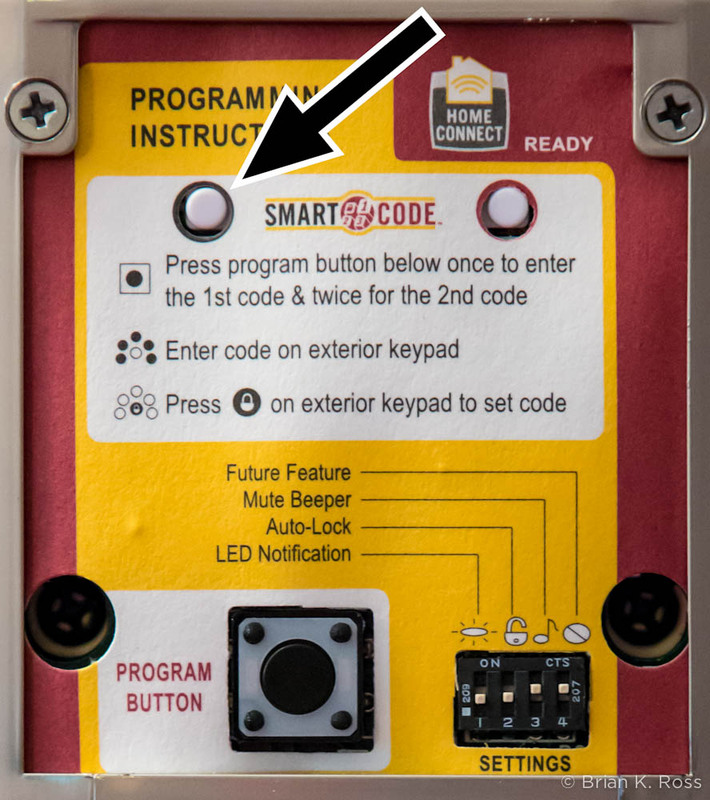 However, if you did program the lock prior to connecting to your security control panel, those codes will be ignored (I’m not sure if they’re wiped but either way they won’t work). When you add or change an access code online, the lock will sync and work with those codes automatically. Does it both open the lock and disarm the alarm? Or must I enter my alarm code as usual after coming in the door? If you set up a Event-Triggred Rule by going online to http://frontpointsecurity.com > emPower > Rules > Add a Rule, then yes, by entering your access code on the door lock this will also disarm the security control panel. “Warning: With this rule, anyone with access to the selected lock will be able to disarm the security system simply by unlocking the lock, regardless of whether the user has been given security panel access.” I highly recommend that you NEVER do this! Here’s what I recommend: Every security code can have security control panel access toggled on or off, choose who has what type of access, this is likely toggled on. With the security control panel access toggled on, the user uses their security code to unlock the door, and after they enter through the door, the door sensor triggers an alarm delay, they then need to enter a security code on the control panel to keep the alarm from being active after the specified amount of time. In this way in an emergency scenario, one can enter the household under duress using their security code on the door lock (now we know who unlocked it and when), then enter the duress code on the security control panel which will silently trigger the alarm and bypass phone call verification while sending police right away.